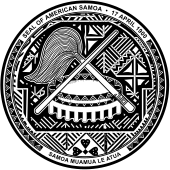 ^ Sunia, Fofó Iosefa Fiti (1998). 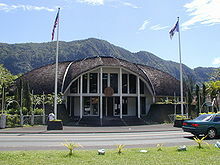 The Story of the Legislature of American Samoa. American Samoa: American Samoa Fono. p. 68. ISBN 982-9008-01-0. https://books.google.com/books?id=3pKOAAAAMAAJ&q=%22vernon+huber%22&dq=%22vernon+huber%22&ei=FHbgS4XjLJ_YMKGJse8K&cd=3 17 May 2010閲覧。.